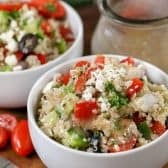 Greek Quinoa Salad combines my favorite Greek Salad recipe with protein packed quinoa for the perfect make ahead lunch, side or main dish! 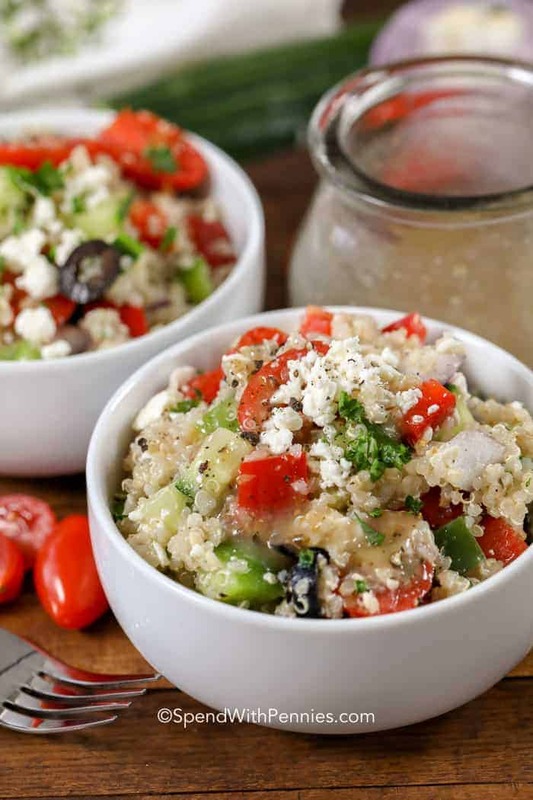 Made with fresh cucumbers, tomatoes, red onion, peppers, black olives, feta cheese and of course quinoa, this quinoa salad is light, fresh and loved by everyone. The flavors of a Greek salad are so fresh that I am continuously creating new dishes with this combination! 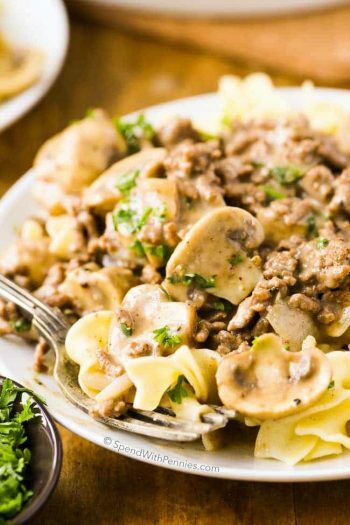 From Greek Tortellini Salad to Easy Greek Pasta Salad, it seems that nobody can get enough! 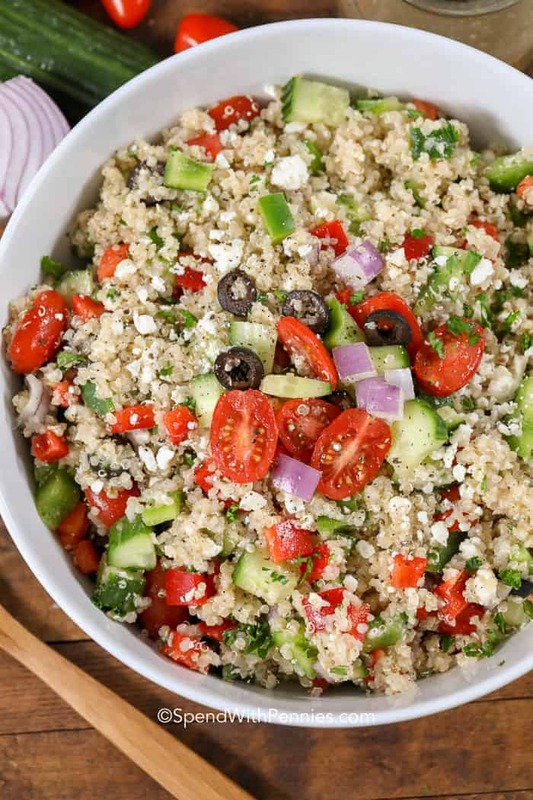 I often make a yummy Black Bean Quinoa Salad which has my favorite southwest flavors like cilantro and cumin but my family also really loves this Greek salad twist on quinoa salad! Juicy tomatoes, crisp cucumbers, salty creamy feta cheese. While most people think it is a grain, Quinoa is actually a seed and is prepared in a similar way to rice or barley. 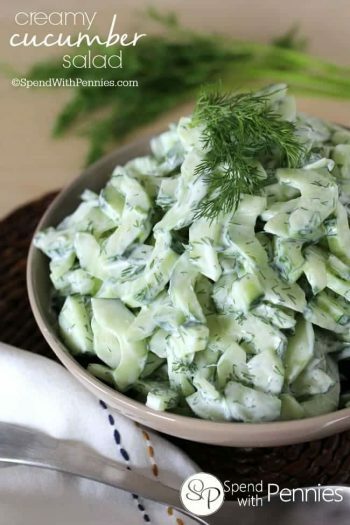 It has a slightly nutty flavour which can be served plain or you can add it to salads or even replace the noodles in soup like Homemade Chicken Noodle Soup. It is gluten-free which makes it a popular choice for folks who either have a gluten intolerance or allergy (ensure your brand specifically lists that it is GF). Making quinoa for quinoa salad is easy. The preparation is very similar to cooking rice, only slightly faster. Add water in a 1:2 ratio of quinoa:water. Bring to a boil, then reduce to a simmer for about 10-15 minutes until water is absorbed. Remove from heat and let sit covered for 5 minutes. Some people toast the quinoa by cooking it in a bit of olive oil before adding the water. This brings out the nutty flavour of the quinoa. 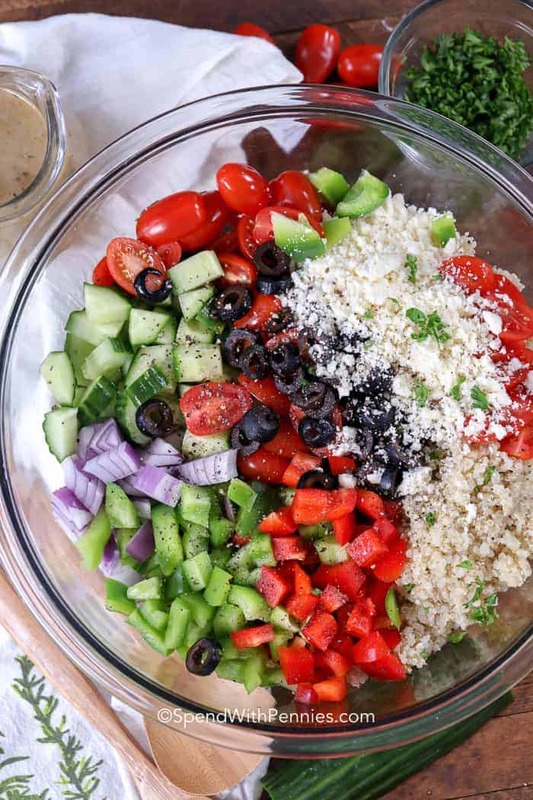 In this easy quinoa salad I add my favorite Greek salad ingredients so I season very simply with salt and pepper and then use Greek salad dressing for flavor. I prefer homemade but I use store bought from time to time as well! Remember to be generous with the dressing as the quinoa will soak it up. Fresh herbs like parsley and cilantro perfect added to quinoa salad along with almost any roasted or fresh veggie. 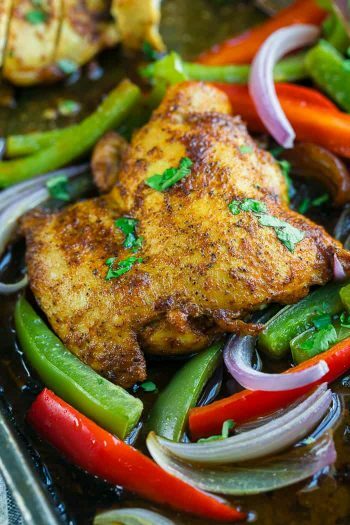 We sometimes add diced Oven Baked Chicken Breasts to this salad as well! 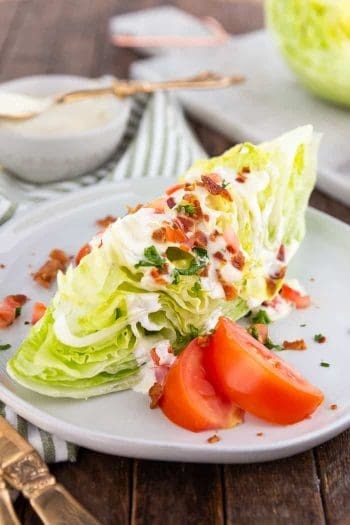 BLT Pasta Salad – Popular! Cobb Pasta Salad – Complete meal! Shrimp Pasta Salad – Favorite recipe! Fresh greek salad tossed with protein packed quinoa for the perfect meal! 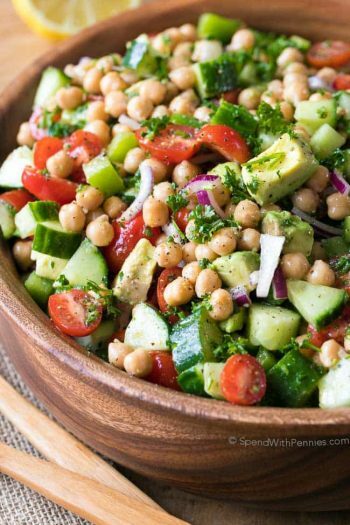 In a large bowl, combine tomatoes, red and green peppers, cucumber, olives, red onion and feta cheese and dressing. Toss to coat evenly. Add cooled quinoa and combine. Where can you find quinoa? It is typically found in the rice and grain section of your grocery store, but you will find it in health food and bulk food stores as well.